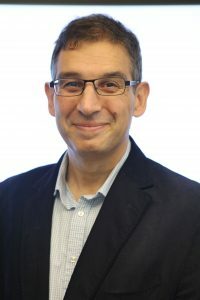 Dr. Samuel Aparicio (BM, BCh, PhD, FRCPath FRSC) is the Nan & Lorraine Robertson Chair in Breast Cancer Research, holds the Canada Research Chair (Tier 1) in Molecular Oncology, and is a Fellow of the Royal Society of Canada. He is also Head of the Department of Molecular Oncology at BC Cancer, part of the Provincial Health Services Authority, and a Professor in the Department of Pathology and Laboratory Medicine at UBC. Dr. Aparicio graduated in medical and natural sciences from Cambridge University (UK), clinical medicine fro m Oxford, and subsequently in internal medicine and pathology. After doctoral work with Sydney Brenner in Cambridge he held a Wellcome Trust Career Development Fellowship at the Wellcome/CRUK Developmental Biology Institute. From 2000-2005 he was a senior investigator in the Department of Oncology, Cambridge. He was a co-leader of the international consortium that sequenced the genome of the pufferfish Fugu rubripes in 2002. He moved to Vancouver in 2005. Dr. Aparicio’s research program encompasses the fields of cancer genomics, cancer evolution, single cell biology, mouse genetic models, high throughput screens, small molecule chemical probe development and translational breast cancer research. His work on the molecular taxonomy of breast cancer led to identification of new genes that could change the way breast cancer is diagnosed, and form the basis of next-generation treatments. This discovery was preceded by another breakthrough in decoding the genetic makeup of the most-deadly form of breast cancer, known as triple negative subtype (TNBC). Dr. Aparicio is also working to develop quantitative measures of clonal fitness in patients, including methods for single cell genome sequencing and PDX models of human cancer. He collaborates widely with other groups, with current projects including the genomic and biochemical analysis of lymphoma, ovarian cancer, and several rare pediatric cancers. He was a co-founder of Paradigm Therapeutics (now, Takeda Cambridge) and currently Contextual Genomics Ltd.
His contributions to academic research have been widely published in scientific and clinical journals such as Nature, Science, Cell and the New England Journal of Medicine. He is the recipient of numerous awards from academic as well as industrial institutions. Read news from the Aparicio Lab here.